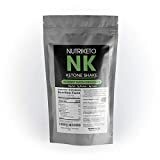 Keto Chow is complete nutrition for Nutritional Ketosis. 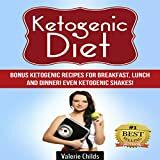 It’s a drink mix that quickly and easily makes a complete keto meal. It’s not meant to replace your bacon and steak. Rather, it’s targeted to replace the mundane meals; running to a meeting, breakfast in the car, stuck in class, etc… By design, Keto Chow provides 1/3 of your daily needs for electrolytes, vitamins, protein and more. The aim is that you could replace all your meals without ill effect if you are so inclined, but most users replace 1-2 meals a day and have a fantastic keto meal with family or friends for the 3rd. It’s also quite tasty with a range of great flavors. You combine the powdered mix with your own personal amount of heavy cream and/or avocado oil to get the calories you want, anywhere from 600 calories a day up to 4000 if you really want to! Many liken the taste and texture to melted ice cream or a milkshake.